L434 is an imprint which presents on a pill that is round in shape and white in color. The pill is a combination of two active ingredients pseudoephedrine 60mg and triprolidine 2.5 mg. The combination of two active ingredients in this pill is used to relieve the symptoms of cold, flu, allergies, or various types of breathing illnesses. This pill belongs to the class of upper respiratory tract combinations as it is a combination of a decongestant (pseudoephedrine) and an antihistamine (triprolidine). Its supplier is Perrigo Company. Pseudoephedrine is a decongestant which belongs to the class of sympathomimetic drugs. It usually occurs as a white fine powder. It is only sparing soluble in water. 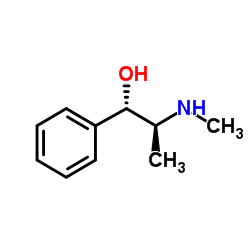 Triprolidine is an antihistamine and belongs to the class of histamine H1 antagonists. It usually occurs as white crystalline powder which has a bitter taste and is odourless. It also shows water solubility. The pill is a combination of two active ingredients: pseudoephedrine and triprolidine. Drug class: It is an organic compound belonging to the group of styrenes. Drug class: It is an organic compound belonging to the group of phenylpropanes. The combination of these drugs is used basically to treat the symptoms of cold and flu and for the symptomatic relief of upper respiratory disorders such as allergic rhinitis. However these medications are not recommended for individuals who have diabetes mellitus, pheochromocytoma, hyperthyroidism, or severe renal impairment and also in individuals with cardiovascular disease or those taking beta blockers. It is also not recommended in patients who are taking or who had been taking monoamine oxidase inhibitors in the preceding two weeks and the pill is contraindicated in children below 12 years of age. Although this pill can cause drowsiness it is not a controlled drug because there is minimum risk of abuse associated with the drug so it is not included in any schedule of the Controlled Substances Act (CSA) of 1970. What are the different brand names of pseudoephedrine / triprolidine? 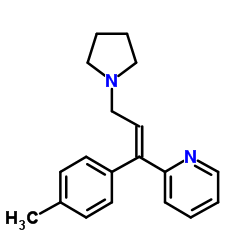 Pseudoephedrine is a sympathomimetic agent and more precisely it is an alpha- and beta- adrenergic agonist. This drug enhances the release of norepinephrine. It causes norepinephrine which is present in the presynaptic neurons in the storage vesicles to be displaced and as a result norepinephrine is released into the synapses of the neuron where it acts primarily on the alpha- adrenergic receptors. The effect of pseudoephedrine on alpha- and beta- adrenergic receptors is primarily weak but the stimulation of alpha- adrenergic receptors caused by pseudoephedrine results in vasoconstriction followed by a decrease in the nasal and sinus congestion. Triprolidine is a first generation histamine H1 receptor antagonist. Histamine is an inflammatory mediator which naturally produced by the body and stored in mast cells and basophils. In case of an allergic reaction, histamine is released in the body and it interacts with H1 receptors present throughout the body causing symptoms like pruritis, hypotension, flushing, tachycardia, bronchoconstriction. Triprolidine, on the other hand, competes with histamine for the H1 receptor which are present on the effector cells of gastrointestinal tract, blood vessels and the respiratory tract. As the drug binds with these receptor sites, it provides an effective and temporary relief of symptoms like sneezing, watery eyes, itchy eyes, a runny nose which could be caused by hay fever or other allergies. Triprolidine also causes sedation and has some anticholinergic effects. Serious allergic reaction to the drug characterized with itching/swelling, trouble breathing. Can L434 pill cause dependence? Generally, this pill does not cause any addiction and the patients don’t develop any dependence to the use of the drug. But, studies have revealed that the combination of pseudoephedrine and triprolidine in a pill causes dependence in patients who are using the pill for more than 10 years and the ratio for addiction in women is greater as compared to men and studies have also revealed that dependence to this pill occurred in patients who were over 60 years of age. So, generally, this pill is safe and does not cause any addiction or dependence. Absorption and distribution: After oral administration, the drug is readily and almost completely absorbed from the GI tract and it is not subjected to first pass metabolism. The apparent volume of distribution is 2.4 to 2.6 L/kg. Plasma protein binding is negligible. Metabolism and excretion: The drug undergoes hepatic metabolism and is incompletely metabolized in the liver by N- demethylation to give an inactive metabolite. The drug and the metabolite are both excreted in urine and about 55 – 96% of the dose is excreted unchanged. Absorption and distribution: After the drug is administered orally, it is rapidly absorbed from the gastrointestinal tract. The drug is 90% bound to plasma proteins and apparent volume of distribution is 7.8 to 8.7 L/kg. Metabolism and excretion: The drug undergoes hepatic metabolism and is excreted primarily in urine and about 1% of the drug is excreted unchanged. How long L434 pill stays in the body? Pseudoephedrine has an elimination half-life of 9 – 16 hours but the half-life of this drug is affected by changes in PH of urine. There it will take about 3 to 4 days for the drug to be completely eliminated from the body. Triprolidine has an elimination half-life of 3 – 4 hours. Therefore, it will take about a day for the drug to be completely eliminated from the body. So the entire drug is expected to be eliminated within 1 to 2 days after the cessation of the drug.